Whether you are on vacation or business for a day, a week or a month, Drumlin Lane offers quality Tourist Board approved 4 Star Self Catering accommodation. Wood burning stoves. Fully equipped kitchens with dishwashers. En-suite bedrooms. Showers and bath. TVs in each room. WiFi. 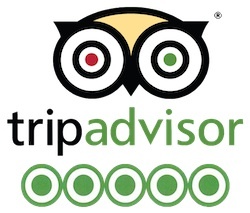 We have everything to make your stay comfortable and enjoyable. Check out our two fully equipped houses Hillcrest and Croob View. Drumlin Lane is located just outside the historic village of Hillsborough, which is a five minute drive from Northern Ireland’s main North-South-East-West arterial routes. It is a ten minute drive to the City of Lisburn, less than half an hour south of Belfast and ninety minutes north of Dublin. We are also only forty minutes from Northern Ireland’s two largest airports, and within striking distance of a host of activities and Northern Ireland’s major tourist destinations including; The Titanic Quarter, The Mountains of Mourne and Lough Neagh. On site Drumlin Lane has its own; 14′ Trampoline, Table Tennis Table, Pool Table, and lots of books, games, and DVDs to keep everyone entertained. If you are bringing bikes or sporting equipment, we have lots of secure space for storage. We also have a large garden, and an abundance of parking space. Free WiFi is provided. Drumlin Lane has a multitude of eco credentials; Rain Water Harvesting, Solar Panels, PV Panels, Air Source Heat Pump and Triple Glazing. All these features plus many more allow you to enjoy 4 Star luxury while minimising your impact on the environment. Whether or not you are looking for green accommodation we are trying to do our bit for the environment. We are here to meet your needs and are happy to recommend and organise activities for you. We even wrote up an itinerary for 7 Days at Drumlin Lane. Whether you need transport, tickets, or just pointed in the right direction, please ask and we will be happy to help. 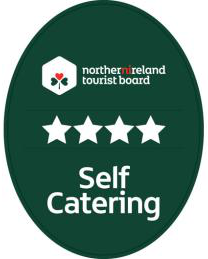 We aim to provide the best self catering Northern Ireland has to offer.